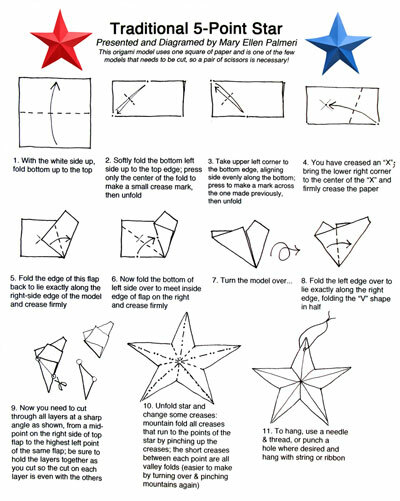 To help celebrate Independence Day, this month's model is a traditional origami star. 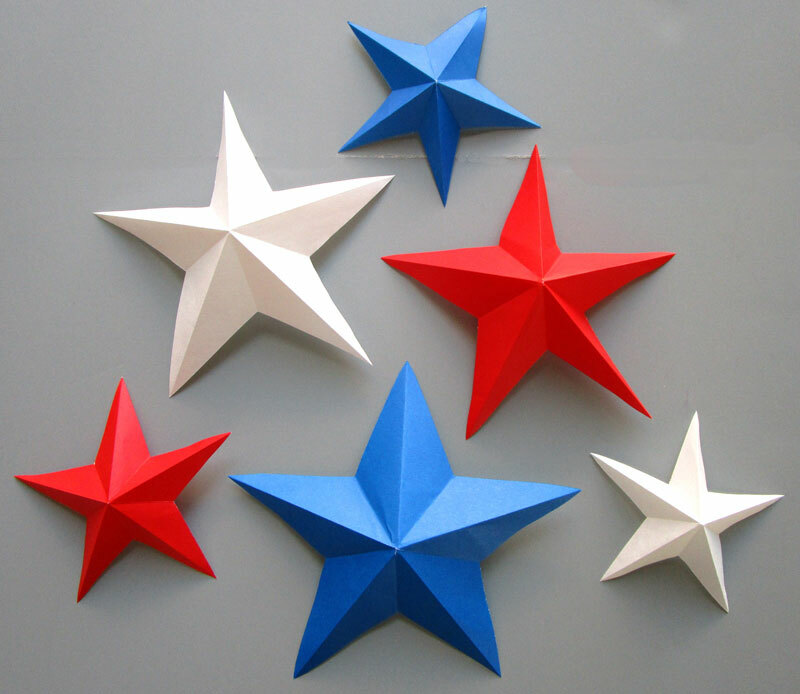 There are several kinds of origami stars - one uses a thin strip of paper that gets folded over and over. Other models use two or more squares that are folded and then put together to make a star. Origami stars also vary by how many points they have; some have only 4 points, and others have 5, 6, or 8 points. This model uses one folded square, and has a single cut before unfolding it to create the 5 points. These stars have been used as ornaments by hanging with string or thread. They can also be added to pictures, leaving them dimensional or pasting flat. 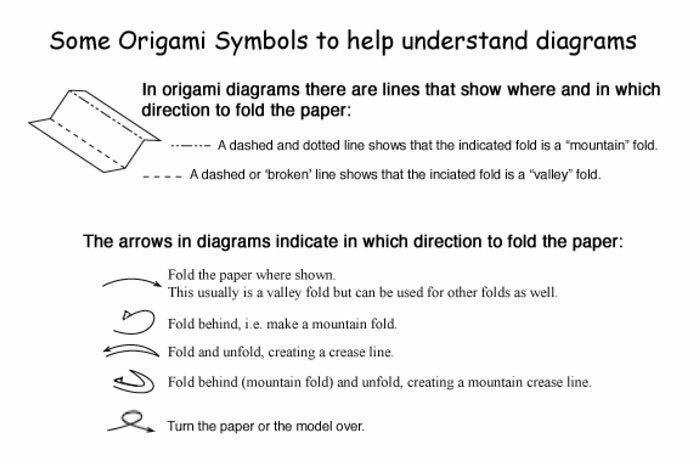 Begin by folding a star from the attached diagrams. If you're unhappy with the finished shape, try re-folding it and cutting at a different angle. Then have fun experimenting and decorating. Make stars in several sizes and decorate in different ways; try folding from a variety of types of papers. A transparent or translucent effect results from using tracing paper or even waxed paper. Enhance individual stars by drawing on them and/or adding glitter. You can also create a decorative version by cutting out the center - this is done in step 9 while the paper is still folded and cutting off the bottom (solid point). If you cut this point in a line parallel to the cutting angle shown in step 9, the result will be a cut-out star in the center of the larger star!